Dr. Sabrin Ragab Mohamed Ibrahim was graduated at 1996 from Faculty of Pharmacy, Assiut University, Assiut, Egypt with grade very good with honor. 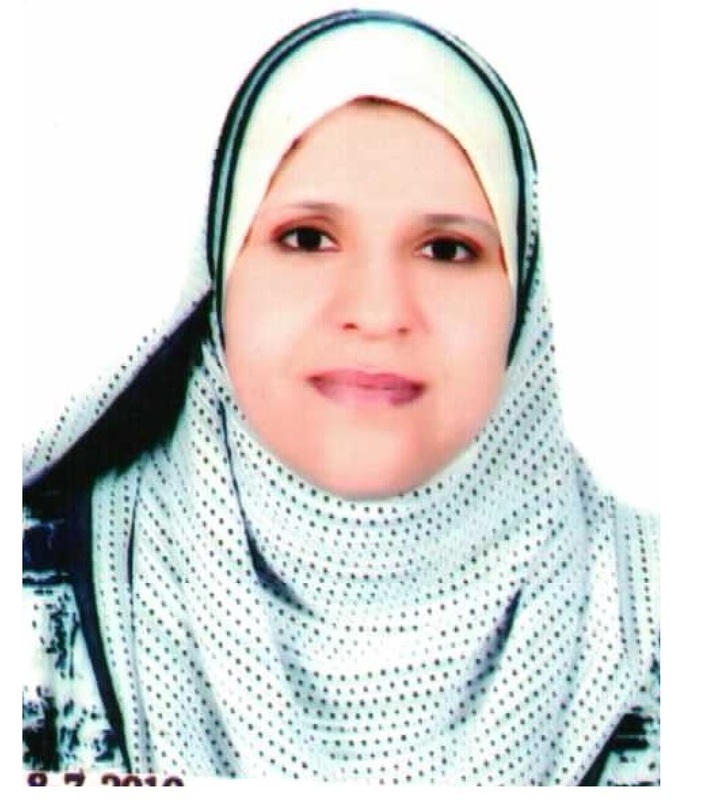 She worked as teaching assistant at the Department of Pharmacognosy, Faculty of Pharmacy, Assiut University from 1996 till 2000 at this time she got master degree in pharmaceutical sciences, pharmacognosy. From 2000-2002 she worked as associate lecturer at Faculty of Pharmacy, Assiut University. She worked as Ph.D. student at Pharmazeutische Biologie Institute der Universität Heinrich-Heine, Düsseldorf, Germany from 2002 till 2005. At this time, she got the Ph.D. degree with grade excellent under supervision of Prof. Peter Proksch. From 2005 till 2010 she worked as assistant professor at the Department of Pharmacognosy, Faculty of Pharmacy, Assiut University. After that she worked as associate professor at the Department of Pharmacognosy, Faculty of Pharmacy, Assiut University from 2010 till now. Currently, she working as Professor at the Department of Pharmacognosy and Pharmaceutical chemistry, College of Pharmacy, Taibah University, KSA. 1- Abdel-Hafiz MA, Ramadan MA, Desoky EK, Ibrahim SRM. Macro- And Micromorphology of Crinum asiaticum Linn. Cultivated in Egypt. Part I:Roots, Bulbs and Leaves. Bull. Pharm. Sci., Assiut University 1999, 22, 147-153. 2- Abdel-Hafiz MA, Ramadan MA, Desoky EK, Ibrahim SRM. Macro- and Micromorphology of Crinum asiaticum Linn. Cultivated In Egypt. Part II: The inflorescence. Bull. Pharm. Sci., Assiut University 2000, 23, 24-35. 3- Edrada RA, Sabrin RM Ibrahim, Ebel R, Wray V, Müller WEG, Proksch P. New norterpene cyclic peroxides from the sponge Diacarnus megaspinorhabdosa. Planta Med 2006, 72 -S-020. 4- Youssef DTA, Ramadan MA, Sabrin R. M. Ibrahim, Badr JM. Cytotoxic sesquiterpene lactones of Egyptian Tanacetum santolinoides. Nat. Prod. Commun. 2007, 2, 795-798. 5- Sabrin RM Ibrahim, Badr JM, El Sayed KA, Youssef DTA. A new cytotoxic sesquiterpene and three anti-inflammatory flavonoids of the Egyptian Tanacetum santolinoides. Nat. Prod. Commun. 2007, 2, 1071-1074. 6- Gamal A Mohamed, Sabrin RM Ibrahim. Eucalyptone G, a new phloroglucinol derivative and other constituents from Eucalyptus globulus Labill. ARKIVOC 2007, xv, 281-291. 7- Sabrin RM Ibrahim, Ebel RA, Ebel R, Proksch P. Acanthomine A, A new pyrimidine-ï¢ -carboline alkaloid from the Sponge Acanthostrongylophora ingens. Nat. Prod. Commun. 2008, 3, 175-178. 8- Sabrin RM Ibrahim, Gamal A Mohamed, Elkhayat ES, Gouda YG, Proksch P. Strepsiamide A-C, new ceramides from the marine sponge Strepsichordaia lendenfeldi. Nat. Prod. Commun. 2008, 3, 205-209. 10- Sabrin RM Ibrahim, Ebel R, Wray V, Müller WEG, Edrada-Ebel R, Proksch P. Diacarperoxides, norterpene cyclic peroxides from the sponge Diacarnus megaspinorhabdosa. J. Nat. Prod. 2008, 71, 1358-1364. 11- Ehab S Elkhayat, Sabrin RM Ibrahim, Mohamed A Aziz. Portulene, a new diterpene from Portulaca oleracea L. J. Asian Nat. Prod. Res. 2008, 10, 1039-1043. 12- Gamal A Mohamed, Ahmed Abdel-Lateff, Mostafa A Fouad, Sabrin R M Ibrahim, Ehab S Elkhayat, Tatsufumi Okino. Chemical composition and hepato-protective activity of Imperata cylindrica Beauv. Pharmacog. Magaz 2009, 4, 28-36. 13- Sabrin RM Ibrahim, Gamal A Mohamed, Fouad MA, El-Khayat ES, Proksch P. Iotrochotamides I and II new ceramides from the Indonesian sponge Iotrochota purpurea. Nat. Prod. Res. 2009, 23, 86-92. 14- Gamal A Mohamed, Sabrin RM Ibrahim, Sayed HM. Phenolic constituents of Cucurbita pepo L. cv `Eskandrani` (Summer Squash) flowers. Bull. Pharm. Sci., Assiut University 2009, 32, 311-319. 15- Sabrin RM Ibrahim. New 2-(2-Phenylethyl)chromone derivatives from the seeds of Cucumis melo L var. reticulates. Nat. Prod. Commun. 2010, 5, 403-407. 16- Sabrin RM Ibrahim, Cho C. Mina, Franka Teuschera, Rainer Ebel, Christel Kakoschke, Wenhan Lin, Victor Wray, RuAngelie Edrada-Ebel, Peter Proksch. Callyaerins A-F and H, New cytotoxic cyclic peptides from the Indonesian marine sponge Callyspongia aerizusa. Bioorg. Med. Chem. 2010, 18, 4855-5456. 17- Mohamed A El-Shanawany, Samir A. Ross, Sabrin RM Ibrahim, Gamal A Mohamed, Alaa M Nafady. A new xanthone from the roots of Centaurium spicatum L. Phytochemistry Lett. 2011, 4,126-128. 18- Samir A. Ross, Mohamed A El-Shanawany, Gamal A Mohamed, Alaa M Nafady, Sabrin RM Ibrahim, Mohamed M Radwan. Antifungal activity of xanthones from Centaurium spicatum (Gentianaceae). Planta Med 2011, 77- P- DOI: 10.1055/s-0031-1273572. 19- Mohamed A El-Shanawany, Hanaa M Sayed, Sabrin RM Ibrahim, Marwa AA Fayed. 5-Hydroxy vasentine, a new pyrroloquinazoline alkaloid from Anisotes trisulcus (Forssk.) Nees. J. Nat. Prod. Plant Resour. 2011, 1, 80-85. 20- Gamal A Mohamed, Sabrin RM Ibrahim, Samir A Ross. New ceramides and isoflavone from the Egyptian Iris germanica L. rhizomes. Phytochemistry Lett. 2013, 6, 340-344. 21- Sabrin RM Ibrahim. Diacarperoxide S, new norterpene cyclic peroxide from the sponge Diacarnus megaspinorhabdosa. Nat. Prod. Commun. 2012, 7, 9-12. 22- Sabrin RM Ibrahim, Gamal A Mohamed, Nawal M Al-Musayeib. New Constituents from the rhizomes of Egyptian Iris germanica L. Molecules 2012, 17, 2587-2598. 23- Sabrin RM Ibrahim, Gamal A Mohamed, Lamiaa A Shaala, Laetitia Moreno Banuls, Gwendoline Van Goietsenoven, Robert Kiss, Diaa TA Youssef. New ursane-type triterpenes from the root barks of Calotropis procera. Phytochemistry Lett. 2012, 5, 490-495. 24- Ehab S El-Khayat, Sabrin R M Ibrahim, Gamal A Mohamed. Plant endophytes, renewable source of new natural products. The Nat. Prod. J. 2012, 2, 225-234. 25- Mohamed A El-Shanawany, Hanaa M Sayed, Sabrin RM Ibrahim, Marwa AA Fayed, Mohamed M Radwan , Samir A Ross. A new isoflavone from Blepharis ciliaris of an Egyptian origin. Med. Chem. Res. 2012, 19, 2346-2350. 26- Ahamed A Ali, Hanaa M Sayed, Sabrin RM Ibrahim, Ahamed M Zaher. Macro-and micromorphology of the root, stem, leaf, inflorescence and fruit of Euphorbia peplus L. growing in Egypt. Bull. Pharm. Sci., Assiut University 2012, 35, 109-126. 27- Ehab S Elkhayat, Gamal A Mohamed, Sabrin R M Ibrahim. Activity and structure elucidation of ceramides. Curr. Bioactive Compds 2012, 8, 370- 409. 27-Ahamed A Ali, Hanaa M Sayed, Sabrin RM Ibrahim, Ahamed M Zaher. Chemical constituents, antimicrobial, analgesic, antipyretic, and antiinflammatory activities of Euphorbia peplus L. Phytopharmacology 2013, 4,69-80. 28- Nawal M Al-Musayeib, Gamal A Mohamed, Sabrin R M Ibrahim, Samir A Ross. Lupeol-3-O-decanoate, a new triterpene ester from Cadaba farinosa Forsk. growing in Saudi Arabia. Med. Chem. Res. 2013, 22, 5297- 5302. 29- Sabrin RM Ibrahim, Gamal A Mohamed, Zainy M Banjar, Hani KM Kamal. Natural antihyperlipidemic agents: Current status and future perspective. Phytopharmacology 2013, 4, 492-531.